Colo's a no-go for Argentina. | NUFC Blog. So it looks like Jonas will be jetting off alone. Diego Maradona is unlikely to be happy though as Argentina have lost 4 out of their last 5 games and risk failing to qualify for the first time since 1970, which wouldn’t be funny at all. Indeed not. In terms of other injury news, Hughton classes Ryan Taylor as ‘touch and go’ for the Bristol City game. What do we think about Jonas? Maradona is a Geordie? Gutierrez given blessing to stay in Toon. Shola, Coloccini, Enrique, Barton – injury status. They have a brilliant squad, including some of the greatest players in the world. However they’ve fallen into the trap of thinking that a legendary player and icon can sit on a tv sofa for years, then immediately turn into a great manager. lol – thought this was a BBM article – with the title written in time with the Brotherhood of Man’s “Figaro”. I thought about “Don’t cry for me Argentina” but it was way too cliched even for me. Stardust’s the one on the right. It’s frightening isn’t it? That’s the sort of thing that turned me into a punk. Here we go! My all time favourite of all time! And Stuart was the one in the middle – though I think he had a cameo dressed as a labrador in Pans People’s vid Worky posted to lol. There ought to be a law against that Pan’s People stuff. Is this a Fraudian slip workyticket? Our own “legendary player and icon” still occupies a BBC sofa. Is the Argentina example not sufficient warning to all those who blindly believe only Shearer can lead Newcastle in to the future ..? You’ve posted this kind of sentiment several times on various threads and I cannot agree with you. Although Enrique has made a couple of ricks recently, he is still one of our better and most consistent players. He does seem to polarize opinion but mine is that he is better than most in the championship and at least as good as many in the premier league. We’re lucky still to have him. Apart from one or two dodgy passing decisions, he is a great full back and with Jonas Gutierrez in front of him they give us a solid and very formidable flank. Where he does suffer is when Gutierrez is missing but I suspect that is because to the poorer quality in front of him. 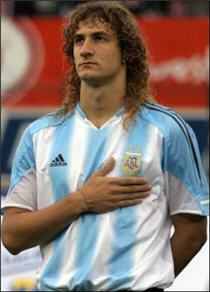 Coloccini may well have found his level in England. Exposed in the premier league, he seems far more comfortable in the championship. This may have a lot to do with the way that Smith is sitting infront of the centre backs, but he still coping with whats been slung at him so far this season. We’ve got nothing better, so get behind them and stop wishing them away. We will suffer if we lose either of them. God help us if Enrique picks up an injury because he is all we have in that position. Do u know enrique was transferrd to nufc just alardice saw a video in which he playes good what kind of scouting is that ??? ?